Key enhancements of Trio include improved workflow and transparent reporting visibility, as well as robust locum tenens (a Latin phrase meaning “to substitute for”) staffing capabilities. Founded in 2003, AHSA streamlines and simplifies the supplemental staffing process for healthcare organizations throughout the nation. 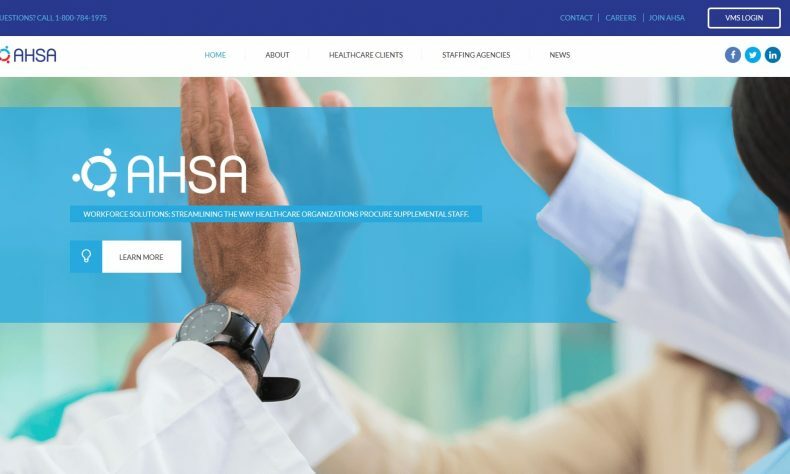 AHSA offers healthcare clients a single point of contact solution to access a strategic, aggregated network of more than 200 of the best staffing agencies in the U.S. brought together under one contract. As a pioneer in the healthcare Managed Service Provider and VMS industry, AHSA was the first MSP to provide a VMS solution for physician staffing, in addition to nursing, allied health and non-clinical workforce solutions to its client facilities.